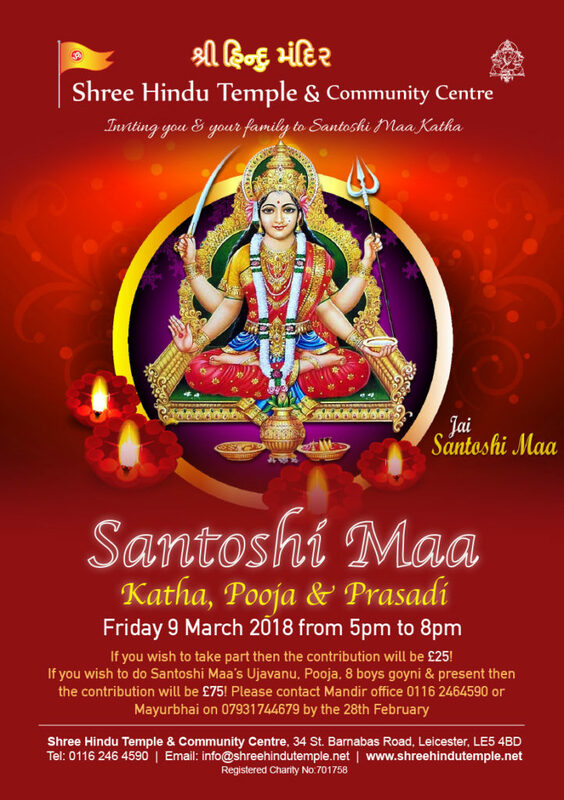 Shree Hindu Temple & Community Centre has organised Shree Santoshi Maa – Katha, Pooja & Prasadi on Friday 9th March 2018 from 5pm to 8pm. If you wish to take part then the contribution will be £25! 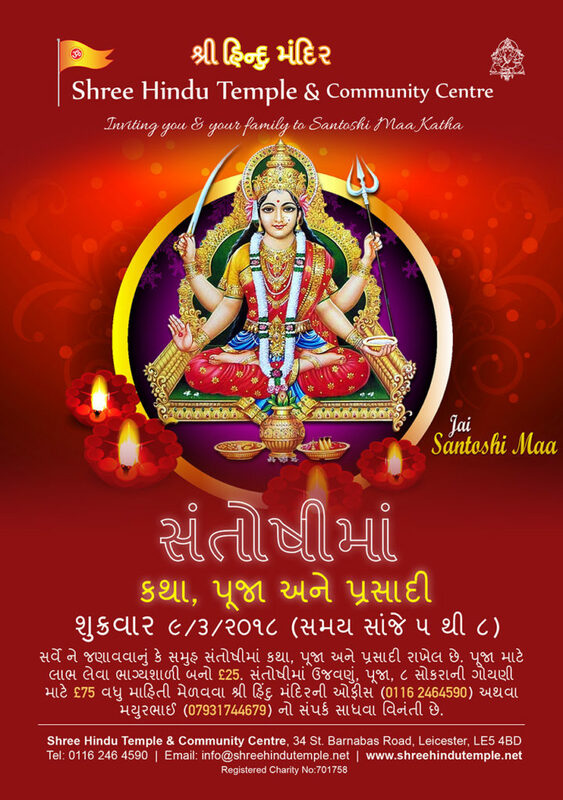 If you wish to do Santoshi Maa’s Ujavanu, Pooja, 8 boys goyni & present then the contribution will be £75! Please contact Mandir office 0116 2464590 or Mayurbhai on 07931744679 by the 28th February 2018.